In a previous article, I discussed Bitcoin’s history and how investors can get exposure from the cryptocurrency. The issue I hear from many is that they don’t want to invest directly in Bitcoin. If you’ve been bitten by the Bitcoin bug, and would like to know which Bitcoin stocks have been performing well lately, below are 3 Bitcoin stocks that you may want to add to your portfolio this year. By investing in stocks that have exposure to the cryptocurrency, you can still take advantage of investing in Bitcoin without buying the currency directly. Nvidia Corporation’s stocks went up by 70% last year, and their revenues grew by 40%. When their fiscal report comes out, the company expects to report over $8 billion in revenue in 2017. Nvidia is a company that sells the video cards needed for mining Bitcoins and other cryptocurrencies. Their video cards were originally intended for high-performance gaming, but they turned out to be ideal for long hours of cryptocurrency mining. The need for thousands of video cards by one mining farm should be enough for investors to add Nvidia to their portfolio. But that’s not the only reason to buy Nvidia stocks. Another reason to buy them is because of the company’s cloud technology. Data centers around the world are now making their upgrades to support artificial intelligence programs for self-driving cars and Internet of Things enabled devices. Instant responses are needed for those programs, and Nvidia’s cloud technology can provide the space needed for the big data to operate. The Bitcoin Investment Trust is another stock to consider since its prices went up by 623% by the time it hit November 2017. The company owns a huge number of Bitcoins, making it one of the companies with the biggest net asset value. Bitcoin Investment Trust provides investors improved liquidity, as well as extra transparency when purchasing Bitcoins directly on a decentralized exchange. A word of caution when purchasing Bitcoins on a decentralized exchange: the prices of the cryptocurrency are still extremely volatile. Nadex warned investors that the cryptocurrency market has gone from bestseller to dud in a matter of weeks, and it’s all because of a shift in government and regulator attitude toward digital funds. That being said, it’s wise to speculate Bitcoin prices using Bitcoin Investment Trust in order to see when investor sentiment will change. Bitcoin Investment Trust’s market cap has always ranged between 25% – 100% higher than its net asset value. If you’re willing to pay some premium to have a share in a stock that closely speculates Bitcoin, Bitcoin Investment Trust is for you. Overstock.com’s shares have increased 200% since 2018 started. 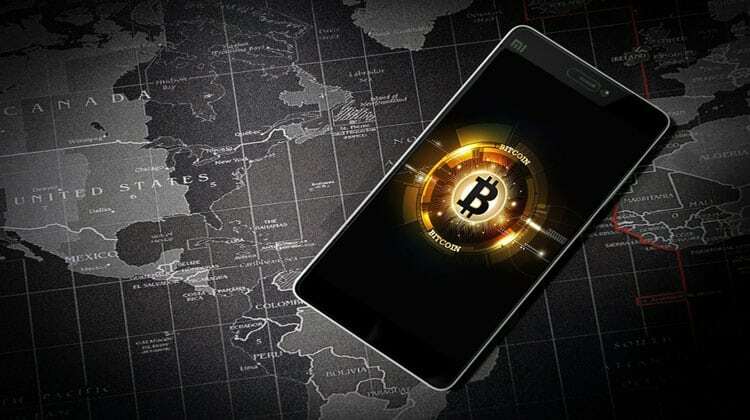 It is the first major retailer to accept Bitcoin, and its subsidiary, tZero, has caught the attention of investors worldwide. tZero is based on the Medici tZero blockchain, which is a new technology that underlies virtual currencies. The subsidiary is selling two types of tokens, one of which represents ownership of the company, and the other an application token used to buy and sell companies that were previously funded by ICOs. tZero is an ICO that creates a market for all other ICOs, in the hope to create a bigger market for all securities. Overstock.com has been able to raise over $2 billion for this particular project since 2016. Overall, if you are interested in Bitcoin but don’t want to buy direct, these 3 Bitcoin stocks are a great option for you. One word of caution is that some companies who have nothing to do with Bitcoin are changing their names and getting started investing in the cryptocurrency. Avoid these stocks and instead pick stocks like the ones noted above. They are the real deal and are not trying to jump in trying to make a quick buck. I haven’t heard much about Nvidia but after reading this I’m definitely going to read more about it! Thanks!